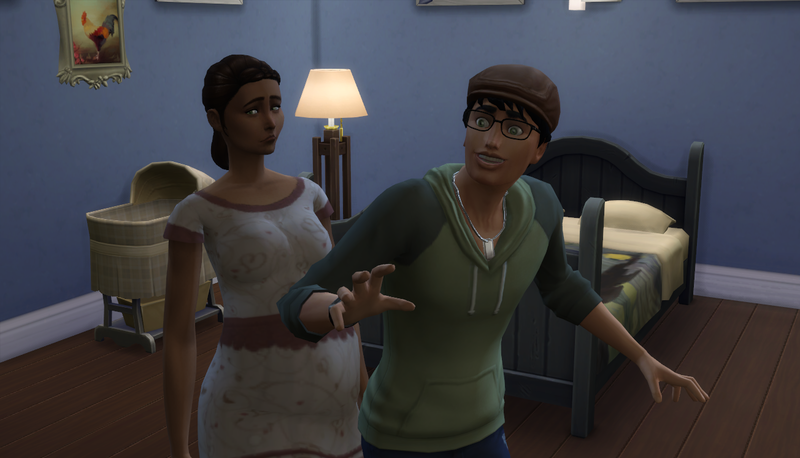 Dani has twins and Aya complains about it. Aya has been finding the homestead a little exhausting lately. She knows that with the upcoming birth of her niece or nephew that she could soon be sharing a room if the kid turns out to be a boy. She’s really ready to move out but she’s still not old enough. 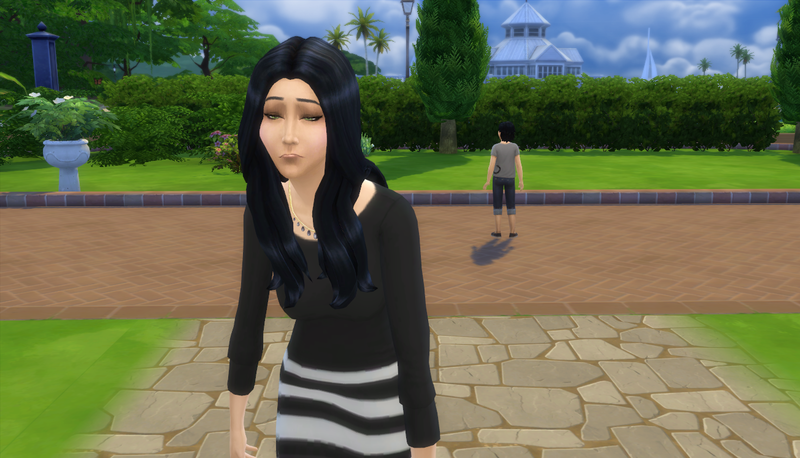 Meanwhile, Dani is still very pregnant. It seems like she’s been pregnant forEVER. (I guess she has since it was a month between me playing, ha…) She and Tachi thought they might speed things up a little bit. 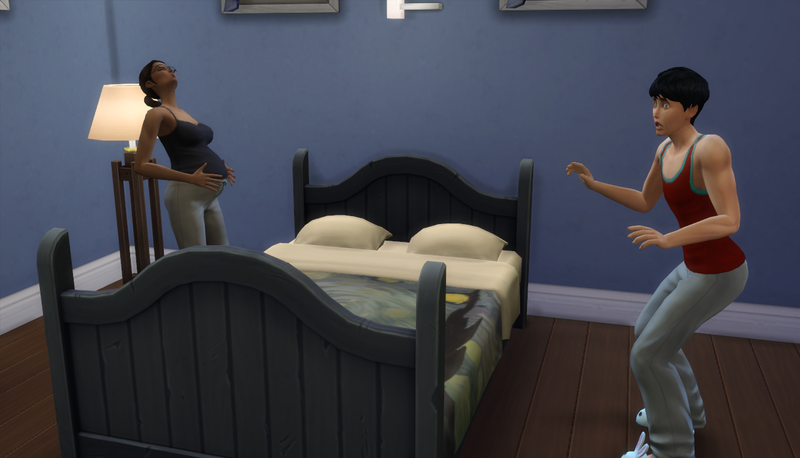 Well, this instance didn’t work, but later that morning she went into labor! Dani has always been a bit judgey of Tachi’s weird expressions. This one was pretty great… Anyway, off they went to the hospital! 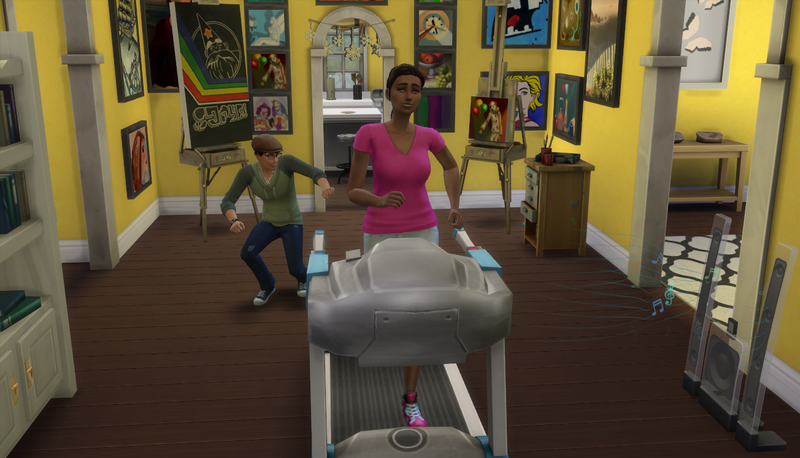 I got everything settled and when I went looking for Dani I found her already on the treadmill! She must want to get back to her pre-baby weight. Tachi, although lazy, isn’t opposed to random acts of dancing, either. 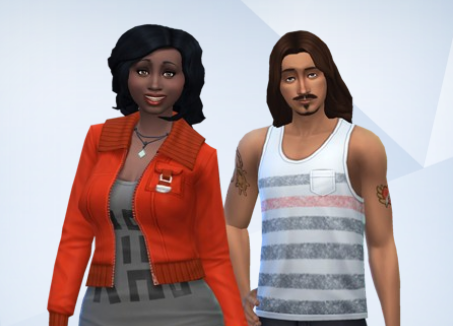 ← Chapter 39: Back from Hiatus and all is well!